In case you didn’t know, Chelsea face Arsenal once again this weekend in a Premiership clash at Stamford Bridge. To say the odds are against the home side would be an understatement indeed; Arsenal having not lost in twenty-four league games this season and also having improved an unbeaten run against The Blues to ten games since the arrival of Claudio Ranieri, with a 2-1 win last weekend. Having said that, Saturday will not bring an easy ride for the Gunners despite their apparent psychological advantage. 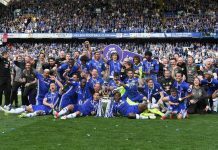 Chelsea have taken thirteen of the last fifteen points available in their efforts to revive their title aspirations, and are undoubtedly a ‘big game side.’ However, in order to take full advantage of the home crowd, Chelsea will have to learn from their previous mistakes against their London rivals. 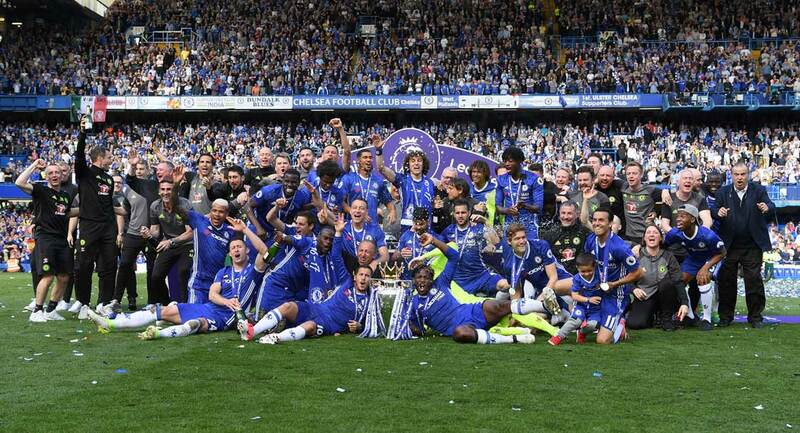 Primarily, Chelsea will need to find a belief that they can beat their opponents. The fans certainly have it. Seeing the side go so close on so many occasions has in many ways increased the supporters’ insistence that the ‘auld enemy’ can be conquered. For this to become a reality however, the players must also believe it. Ranieri recognises this fact and has called for his players to “show a great will and mentality” going into the crucial match. Ranieri will hope that from this belief will stem confidence throughout the side and the ability not to capitulate or to “lose the plot” as the Italian put it following Sunday’s defeat. Too many times in the past have Chelsea suffered worrying lapses in concentration following bright starts against Arsenal and this is a trend they must stamp out once and for all this Saturday. Initial reports suggest that the Chelsea squad will return relatively unscathed from their International runouts. John Terry’s withdrawal from the England squad should hopefully ensure his recovery from a shin complaint. Hernan Crespo’s return to match fitness ought to see him favoured ahead of the out of sorts Hasselbaink alongside Adrian Mutu in attack. The midfield is the area of the field to which Ranieri must attribute the most consideration. The side lacked width at Highbury last weekend and this must be rectified if Chelsea are to win on Saturday. The possible return of Duff will ease the situation; that is if Ranieri is willing to risk him ahead of next week’s Champions League meeting with Stuttgart. The middle of the park should see the ever-present Frank Lampard paired with Claude Makalele, with Scott Parker starting down the right. However Ranieri may be tempted to opt for Jesper Gronkjaer on the wing and replace the Frenchman with new boy Parker in central midfield. Don’t be surprised however to see the returning Geremi involved at some sage, or the inclusion of Joe Cole who impressed for England in Portugal. Need I mention the obvious ‘returnee’ for Arsenal? Thierry Henry will no doubt use his withdrawal from the France squad to recover from the bruised foot that kept him out of the FA Cup clash last weekend. Chelsea fans must hope that he fails since his record against them is prolific. Freddie Ljungberg is set to return from injury on the right flank and in good time too- Ray Parlour will now miss six weeks following ‘that’ tackle from John Terry last weekend. Sol Campbell, like Terry, has withdrawn from the England squad and will wait to see if his groin injury recovers in time for the weekend. His absence would certainly be a concern for Arsene Wenger and what is clearly a shallow pool of defenders at Highbury, though how Mutu would relish the chance to run at the shaky Pascal Cygan at the heart of the Gunners’ backline, rather than the experienced Campbell. Wenger will have to sweat on the availability of midfielder Gilberto Silva after a late Graham Kavanagh challenge saw the Brazilian limp out of Brazil’s friendly in Ireland with an ankle injury. The likely call up of Edu will reassure the manager, although he has less cover for his left back Ashley Cole who limped out of England’s friendly with a jarred back. Arsenal and England physio Gary Lewin admitted that the pacey wing back is a doubt for Saturday’s match. The rest of the Arsenal line-up ought to remain unchanged with only Bergkamp making way for the returning Henry. This really is D- Day for Chelsea and Claudio Ranieri. Defeat would effectively end their title challenge, whilst victory would blow the three horse race wide open and pull them to within three points of their North London rivals. Should The Blues manage to dominate the middle of the pitch, thereby reducing the supply to Henry, a win is a definite possibility. Expect Lampard and co. to be in for a busy afternoon!